Rug Raffle to Benefit The Grooming Project! The State Line Rug Hookers have graciously chosen The Grooming Project as the beneficiary of their annual philanthropy rug project! 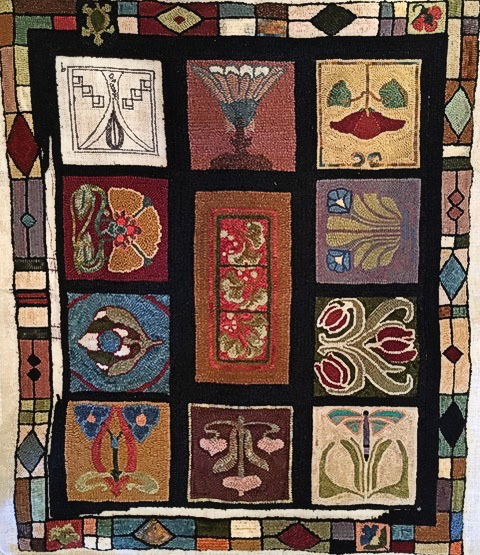 Each year several members of their chapter work together to design and hook a rug that is then raffled off to benefit a charity of their choice. We are so thankful they have chosen us this year! Tickets are free will donation, but the going rate is 1 for $5 or 3 for $10. To purchase tickets, please email abby@epeckc.org! The winner will be drawn on February 23, 2019 at the Lenexa Hook In! This year’s rug is titled “Tiles”. It is 38 inches by 47.5 inches.